By 1943 infantry anti-tank units at the front complained strongly that it was almost impossible to move their guns using trucks at daylight under enemy fire, leading to enormous losses of equipment during emergency relocations (at the time a euphemism for withdrawal), and their opinions reached the top ranks. 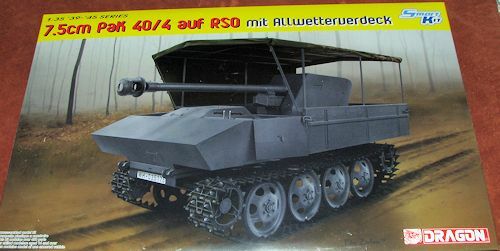 OKW explored a previously considered proposal to fit the 7.5 cm PaK 40/1 anti-tank gun - by then the standard Pak used by the Wehrmacht - on top of an RSO chassis. After seeing the blueprints, Hitler ordered a limited production run for combat testing, before the prototypes were completed. The project was carried out by Steyr. The suspension of the RSO remained unchanged, but the front driver's compartment was replaced with a low, lightly armoured superstructure. The result was a lightweight, cheap to produce, and highly mobile infantry anti-tank weapon. It was more exposed compared to the conventional panzerjagers which had a construction cost many times that of a RSO/PaK 40. Although the vehicle was intended for use by the infantry anti-tank units, all pre-production vehicles were issued to armoured units (Panzer Jager Abteilungen 743 and 744, and 18th Panzergrenadier Division), due to the urgent need for replacements. Their low speed and light armour inevitably resulted in problems for these units trying to cooperate with those in other fighting vehicles. The German Army Group South, where the units issued for combat testing, declared the vehicle useful, and large-scale production was quickly authorised. Despite the decision to have Steyr shift its entire production line into RSO/Pak 40, no specific order reached industry, and only the approximately 60 pre-production vehicles were ever manufactured. While the first vehicles were rolled out from the production line, Steyr started testing an improved version that incorporated a wider chassis and tracks; these changes improved cross-country performance and lowered the center of gravity, an issue in a vehicle of such a high ground clearance. None of the improved version ever reached the front. In October 1943, Steyr was ordered by the Ministry of Munitions to cease production of any type of tracked vehicles. By then a new up-gunned version of the widened chassis had been designed and was planned to enter production in 1944; it had a more powerful and less noisy V8 petrol engine to carry the 88mm Pak 43 L70 gun, by far the most powerful anti-tank weapon of its era designated PzJag K43. It is doubtful if any had been constructed by the end of the war. Looking at the box art shows that this isn't a large vehicle. However, it is large in terms of detail. Of the 450 parts, a quarter of them have to be part of the individual track link suspension. 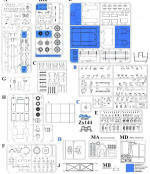 Then the kit has a complete engine and detailed chassis. This detail extends to the PaK 40 gun and the complete driver's compartment, so you are definitely getting a lot for your funds. You'll find few options on this one aside from being able to mount the gun in the fighting or travelling position and there are some areas where one can substitute plastic bits for photo etch ones. I'll let Dragon cover the rest. What this kit adds to the mix is the canvas cover. This is a single piece and can only be build fully erected. 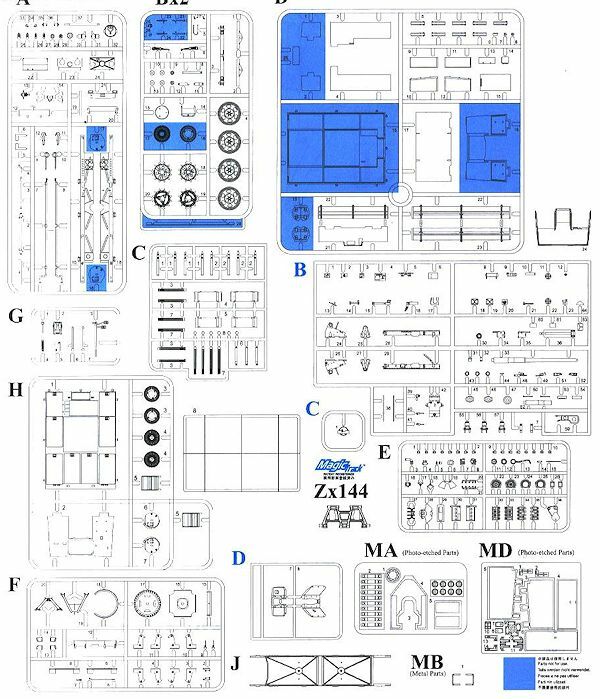 There is also a new ammo locker piece and several other bits that are shown in sprue H.
Four vehicles are portrayed in the instructions. Two are from unknown units on the Eastern Front in 1942/43 with one in panzer grey and the other in panzer yellow. The other two are with the 1. Sk.Jg.Div in 1944 with one in panzer grey and the other in panzer yellow with green and brown camouflage. The latter two are shown without the canvas cover. It is nice to see this one issued. For those who missed the base vehicle the first time around, you now have another chance to add this interesting anti-tank weapon to your shelves.